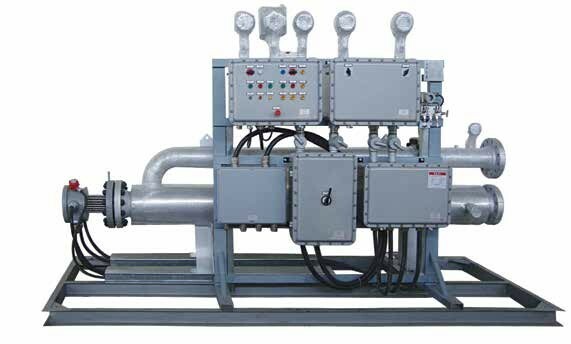 Namdaran Petrogas Industries Co. (NPI) design and manufacture different kind of electrical heater and control system for oil and gas process. Our company offers simple solutions for complex requirements. NPI design teams support customers from the conceptual design throughout the life cycle of the equipment. NPI meets the stringent requirements of design codes international standards and client specifications. Our design features allow us to provide heating solutions for extreme processes from cryogenic service to gas regeneration and for pressures in excess of 500bar.Element to tube sheet sealing using bite coupling design, automated orbital welding or cartridge elements inserted in pockets to facilitate withdrawal of the elements without the need to drain the system.